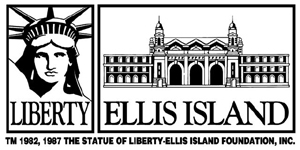 The Statue of Liberty-Ellis Island Foundation presents the eighth annual Ellis Island Family Heritage Awards. Instituted in 2001, these awards celebrate the Golden Door to America for the 17 million immigrants who came to this country through the Port of New York and Ellis Island, as well as those who arrived at another time or through another port of entry. Each year the Foundation chooses a select number of these immigrants or their descendants and celebrates the major contributions they have made to the American experience. Celebrated actress, Candice Bergen will be this year’s Master of Ceremonies. Foundation President and CEO, Stephen A. Briganti, will present awards to honorees Jerry Seinfeld, Gloria and Emilio Estefan, Joe Namath, and Dr. Eric R. Kandel.